As all of you know, many Oromo were killed by Ethiopian security forces on 2 October 2016 at the Irreecha celebration at Bishoftu. Over two million celebrants were herded and shot at by military forces on the ground while helicopters fired teargas from the air. The crowds were pushed into a deep ditch. Reports show over 670 deaths from shooting and from being trampled. Many deaths remain unexplained. The incident is shrouded in mystery because of the media blackout which followed. 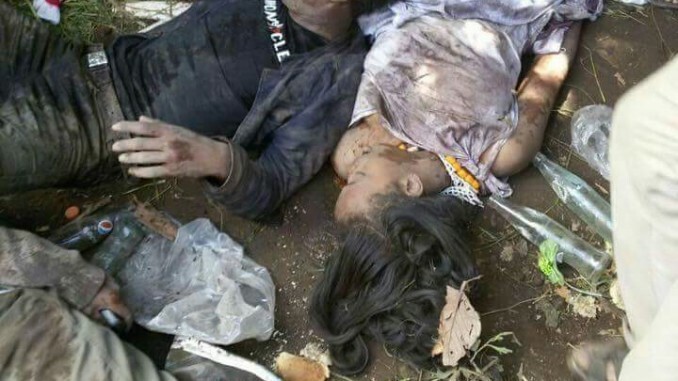 At least some killings followed the event rather than taking place at the time and are believed to have been deliberately orchestrated by the Ethiopian government. Even now, ten months after the atrocity, there has been no independent investigation and no appraisal of the number and identity of those killed. At the London OSG conference on 8-9 July, among the many issues discussed and the decisions which were made, there was consensus on the importance of investigating the massacre and commemorating those who died. At the conference, OSG activists across the world committed themselves to investigating the massacre and preparing a document which accurately describes the events as they unfolded on that fateful day and enables those responsible to be brought to account. This document must be completed in draft form by mid-August. The investigation cannot therefore be exhaustive and definitive. However, it must be an accurate appraisal which can be used to inform governments and organisations before the Irreecha celebration of 2017. OSG respectfully requests that Oromo community organisations make this year’s Irreecha festival an occasion for commemorating those who died on 2 October 2016 as well as a celebration of Irreecha itself. We therefore ask Oromo institutions, such as the Macha-Tulama Association, Oromo Studies Association, media organisations such as Oromo TV, OMN, ONN, Oromo radio and online forums, and Oromo individuals who are active in social media to mark the occasion of Irreecha 2017 with reports, videos, research papers, songs and poems which commemorate the disastrous events of 2 October 2016. Furthermore, to enable OSG to prepare its report on the atrocity, we ask all of you with reliable information about the massacre to send it to OSG in Australia (at osg.australia@gmail.com) within 10 days. Information is needed about the identity of those who died and may also include videos and other images. We owe the victims of the Irreecha massacre acknowledgement of their deaths and an explanation to the world of how and why they died.